If you already live on the Gold Coast then you know how much there is to see and do here.But what should you do on the Gold Coast with Visitors? We recently had a visit from our family and a close friend who live in Cowra. Of course they wanted some fun things to do whilst they were here. On most of their other visits they have had their kids with them. So this time, they wanted to be able to spend time with us as well as spend some time together. So here is a run down of the five best things to do with your visitors to the Gold Coast. I love Tamborine Mountain. It is one of my favourite spots on the Gold Coast and the first place that I took my sister in law. Not only is it a pretty drive to get there, but it still has that small village feel to it. Tamborine has such a great mix of shops, that you can easily spend the best part of a day wandering in and out of them all. 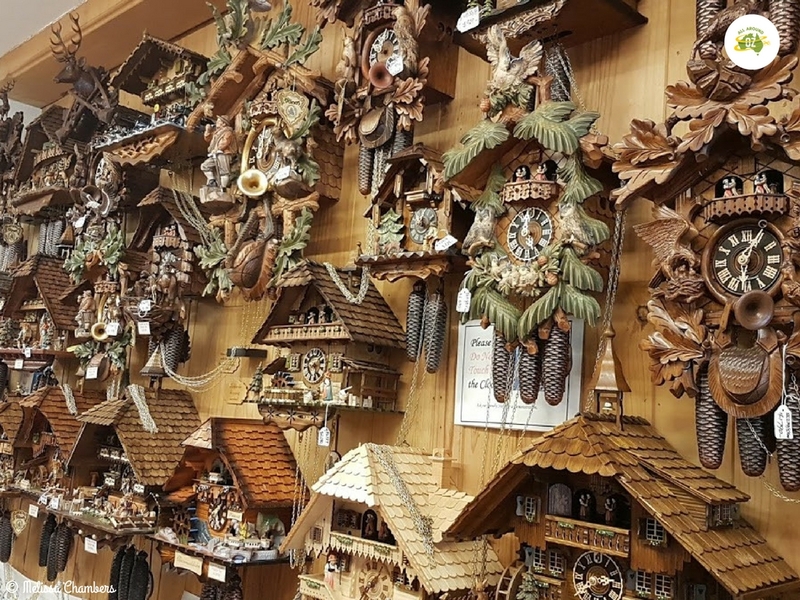 A Tamborine Mountain icon is the Cuckoo Clock Shop – always worth a visit as is Castle Glen Winery. Of course once you have finished shopping you will need some lunch. There are loads of places to eat. From cafes to restaurants, you will find something to tempt your taste buds. After lunch you can treat yourself with some hand made chocolates from the Chocolate Shop or wander up the road a little further for ice cream and fudge! The Cuckoo Clock Shop is an icon of Tamborine Mountain. Not to far from where we live are the Helensvale Night Quarter Markets. These markets have only been opened a couple of years and we really don’t take advantage of them as often as we should. They have the most incredible array of food stalls that I have ever seen. You can pretty much find something to eat from any country in the world. The main sections of the markets are undercover and there is plenty of seating available. There is always entertainment on as well so you can sit and enjoy a drink, whilst listening to some music. The area known as The Paddock has hosted some big names recently and it is a great way to spend an evening out. Night Quarter is open from 4.00pm on Friday and Saturday nights. A cover charge of $3.00 is payable for entry. The Night Quarter Markets at Helensvale are a great place to spend a Friday or Saturday night. Our visitors had been to all the other theme parks previously, but had never been to Dreamworld. They really wanted to see the tigers more than anything else. Our good mate just wanted to get on some rides so we sent Ben along to make sure that he got on all the very best ones. His comment after having been on ‘The Claw’ was that he thought he may have taught some people some new swear words! However the highlight for them all, was definitely the time they spent watching the tigers at Tiger Island. 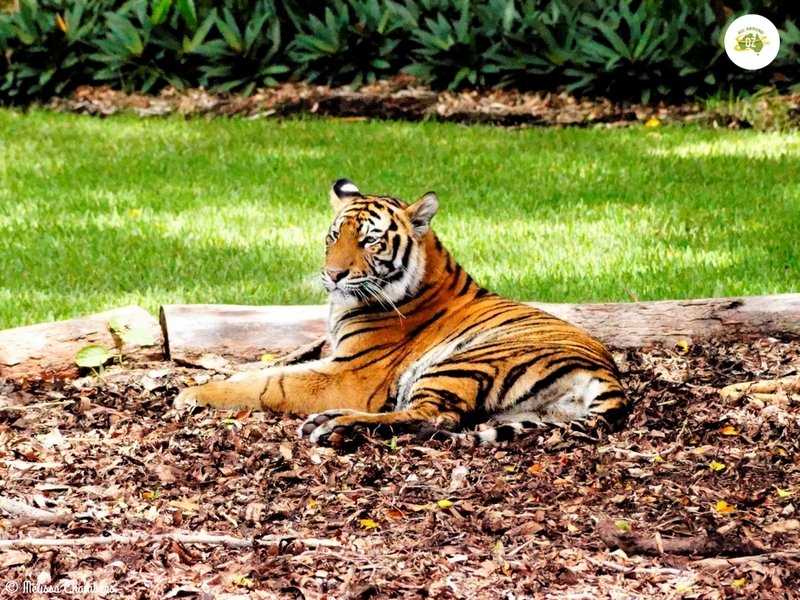 A must see attraction at Dreamworld is Tiger Island. Our mate who was visiting is a car enthusiast and loves taking pics as well. He wanted to get some photos of his car near the water so I suggested he head out to The Spit and try and catch the sunrise. I also sent Ben along for the ride so he could snap some pics as well. The Spit is the narrow strip of land that extends north from Main Beach up past Seaworld. It’s the perfect spot to catch the rising sun and some water views as well. The Spit is the perfect spot to take some early morning photos. One thing Central West NSW doesn’t have is beaches! We are so lucky here on the Gold Coast to be absolutely spoilt for choice when it comes to choosing a beach to visit. I love taking our visitors to Burleigh Beach. It is such a gorgeous spot and you can walk for ages along the beach or the waterfront. And of course there are the views from the Burleigh Headland Walk. Plus just across the road are some of the best cafes and coffee shops that the Coast has to offer. A perfect combination if you want to spend a day out and show off just a little bit to your interstate visitors! 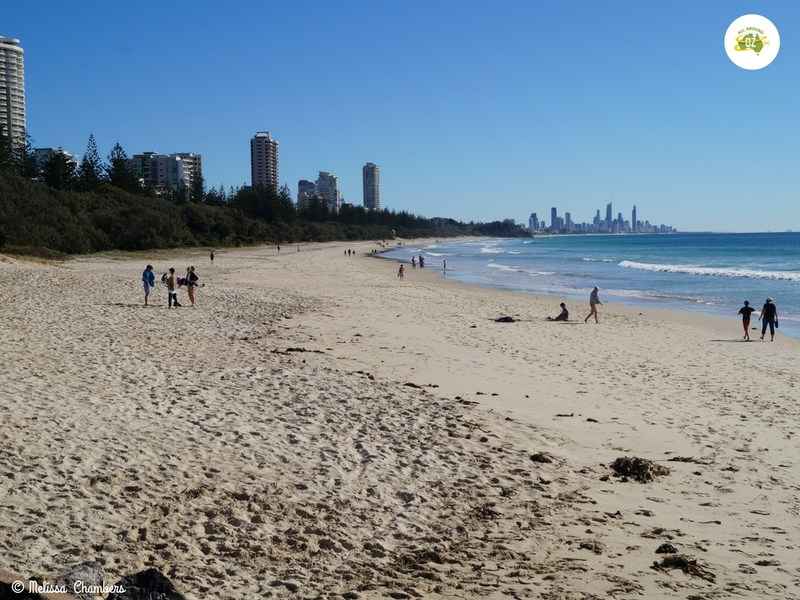 Burleigh Beach is the perfect spot to take your Gold Coast visitors to. I always find it hard to entertain visitors, can you believe? However some of these ideas would be ideal. I like to take visitors to Coolangatta and the NSW border at Point Danger. I would also add a meal at a Surf Club with those magnificent view over the beaches as a must do. I like your ideas too Kathy. Can’t get much better than the views from our Surf Clubs!